Midwifery Continuity of Care is a robust ‘how to’ guide to establishing midwifery continuity of care. 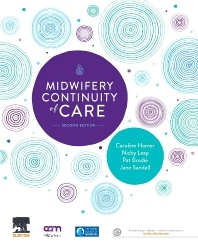 Written by a team of international experts in their field, this book highlights lessons learned to help develop new ways of planning, implementing, evaluating and sustaining midwifery continuity of care for the benefit of women, babies and communities. Chapter 1: Is midwifery continuity of care better for women and babies? What is the evidence? Chapter 4: How can managers make midwifery continuity of care work? Chapter 7: Is midwifery continuity of care cost effective? Chapter 9: Skilled, motivated and engaged: Do we have the midwifery workforce to deliver continuity?